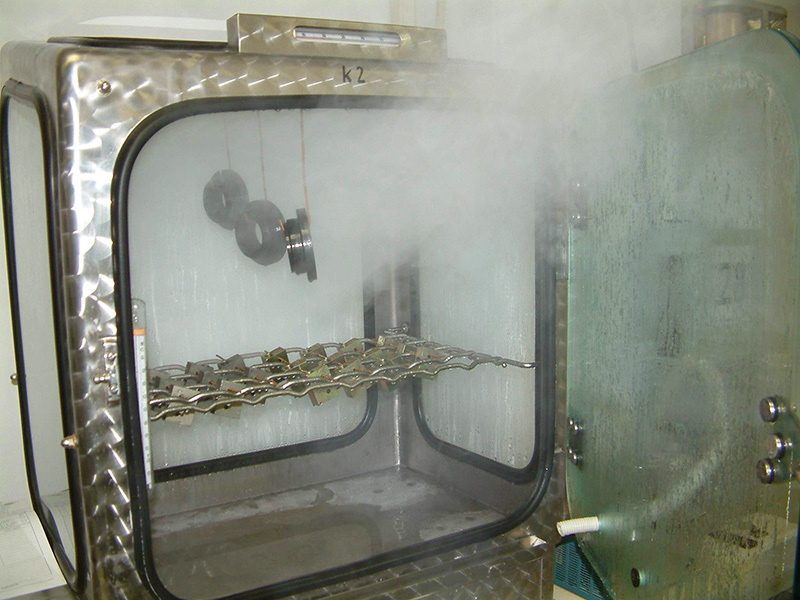 The AUCOTEAM test laboratory conducts corrosive testing using salt spray mist, corrosive gas – constant and cyclical, condensation and splash water in its accredited test laboratory. Automotive, rail, aviation, shipping, medical technology, agricultural machinery, construction machinery, commercial vehicles or general industry – we shoulder responsibility for the weak spot analysis and sampling of products throughout the development phase for manufacturers, including the establishment of testing plans and the offering of advisory services. 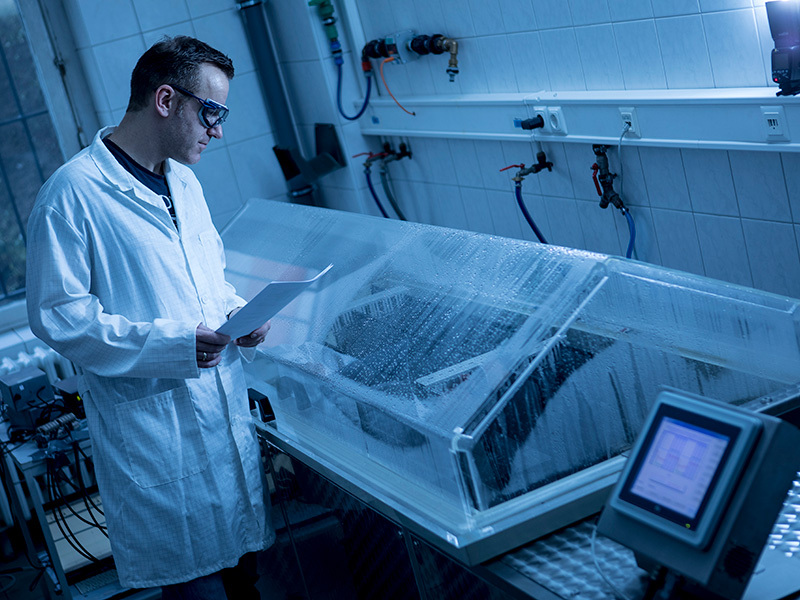 Your advantage with the AUCOTEAM test laboratory: Our wealth of experience as well as fast and cost-effective project processing. 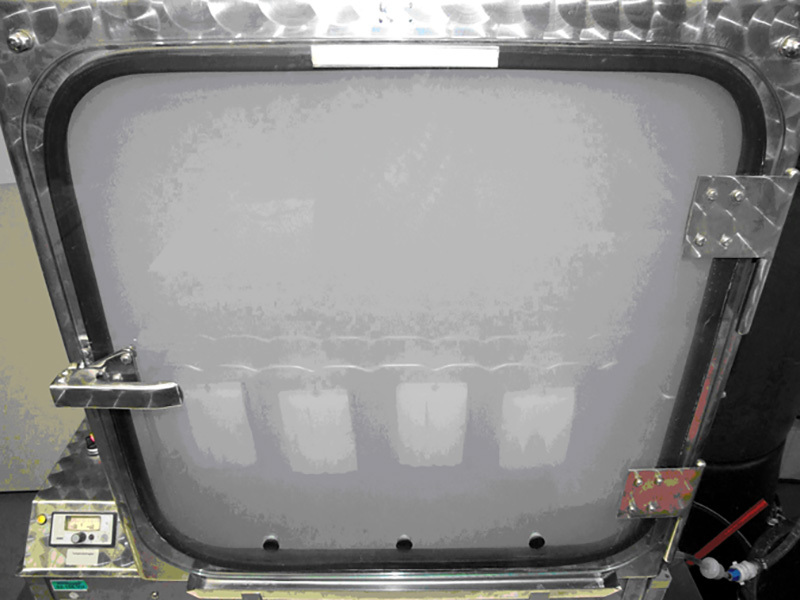 Our salt spray fog chambers comply with the highest manufacturer requirements. VDA, GM, Ford, MAN etc.